Angel of Maryes Heights. Angel of Marye's Heights a young Confederate. Battle of Fredericksburg..the morning of December 14, 1862 dawned with a terrible vision of wounded Federal soldiers laying out on the battlefield after they had been wounded the day before December 13 and lay out all the cold night on the frozen ground. The painful moans and cries from the wounded were too much to bear for Sergeant Richard Rowland Kirkland who requests to CSA General Kershaw that he be allowed to bring water to the Union wounded on the battlefield. At first his request is denied. Thankfully General Kershaw will relent and allow KIrkland to aid the wounded enemy soldiers. Here, Sergeant Richard Rowland Kirkland..a good South Carolina boy will go down in history..as the Angel of Marye’s Heights. 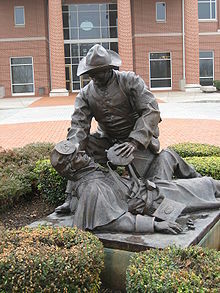 Recognized as a humantarian by both sides, Kirkland has strapped himself with numerous canteens and as he said ‘takes his chances’ going out from his cover to aid the hundreds of wounded and dying Union soldiers on the gentle slope just below the stone wall. Kirkland strapped himself with a dozen canteens, and went out for more than an hour and a half while the armies held their fire. The ailing soldiers will all start calling out for water. Kirkland will give water to as many wounded soldiers as he can, both Union and his Confederate brothers in arms. 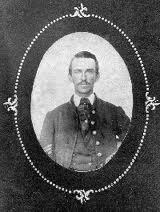 Sergeant Richard Rowland Kirkland..Angel of Marye’s Heights will also fight at Chancellorsville and Gettysburg where he will later be promoted to lieutenant. Sadly, Lieutenant Kirkland will be killed in action on September 20, 1863 at the Battle of Chickamauga. Thank you humantarian Sergeant Richard Rowland Kirkland.. Angel of Marye’s Heights..still a legend of compassion and kindness to this day. My current novel is about Stones River and Chickamauga and Kirkland is a part of this novel. Add to your list of books “Dawn’s Gray Steel” which is a novel about Shiloh by Daniel F. Korn. I think you would enjoy it immensely.